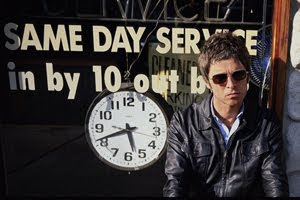 Noel Gallagher played a special session for Q Radio on Sunday (8 July) - and you can listen again now to the fourth and final part of his interview. "The Chief" headed up to our Birmingham studios to play a nine song set that mixed solo tracks with some Oasis favourites. Click here to listen to Noel discusses how his solo success compares with Oasis' breakthrough, living in "Bonehead's loft with his pet spider" and much more.